Egypt: The EU's conference on "Enhancing Bilateral and Regional Cooperation on Labour Mobility in the Mediterranean Region"
The European Union and the Egyptian Foreign Ministry launched a two-day conference on "Strengthening bilateral and regional cooperation on labour mobility in the Mediterranean region" in Cairo. EU Ambassador Surkoš stressed the importance of cooperation and dialogue among the various parties concerned to participate in strengthening legal ways and opportunities to facilitate migration and legal mobility. He added that the EU will continue to work with partner countries at various levels in this regard. 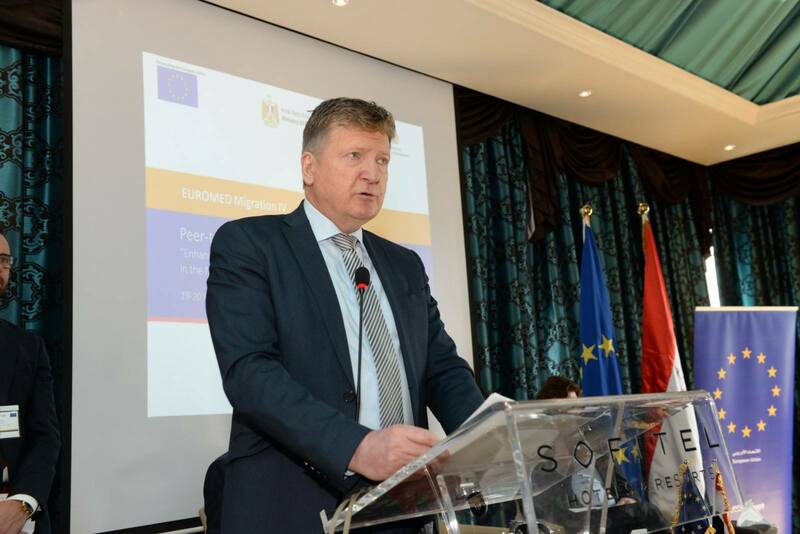 Ambassador Surkoš also stressed that enhanced mobility opportunities between the EU and neighbouring countries could ease the burden on labour markets in partner countries, which are characterised by high unemployment rates that primarily affect young people and highly skilled individuals.